In Toronto Pearson Airport (YYZ), after security, proceed to Terminal 3 Pier A gate B5. Welcome to Be Relax Toronto ! We carry top of the line professional brands such as Dermalogica for Skin care and Bumble & Bumble for hair, all conveniently in travel sizes, and of course our very own Be Relax line for all your massage and travel needs.. 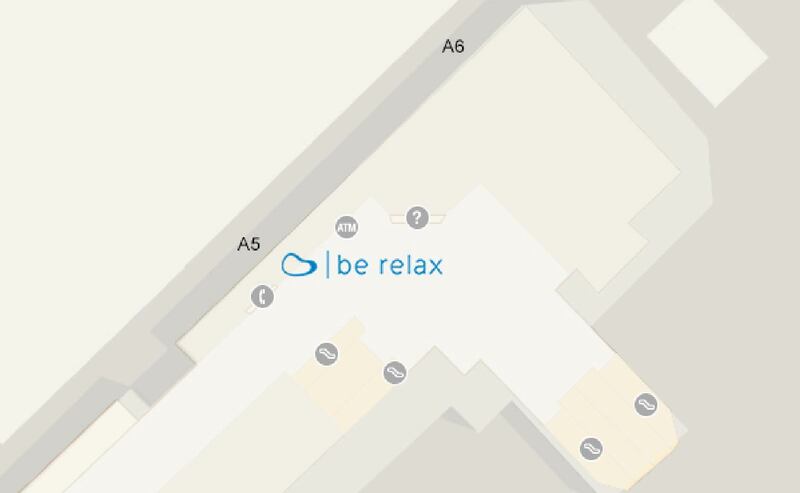 This location is smaller in size and located in a back corner, giving a more intimate feel with little to no human traffic constantly walking past, making your experience more relaxing and enjoyable. We look forward to servicing you on your next visit through Toronto Pearson International Airport (YYZ) Terminal 3 Pier A!